An overview of OLED technology by FutureNow from Deutsche Welle. 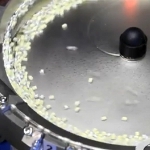 The MB256 LED Sorter from MMS combines high speed, high accuracy and low cost, and integrates the RadOMA Spectroradiometer from Gamma Scientific. 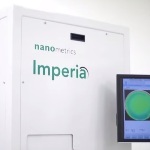 This video shows the functioning of Nanometrics’ Imperia photoluminescence (PL) imaging system. 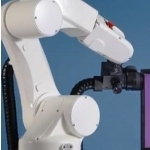 Using the unique optical design technology, the PL imaging system detects and classifies yield-killing defects from nuisance defects and provides the added benefit of simultaneous monitoring of PL production. In this edition of Rad Science, Dr. Kiki explains the science inside the LED, or "light-emitting diode." 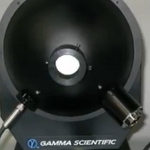 This video presents the complete LED calibration and testing services available from Gamma Scientific. 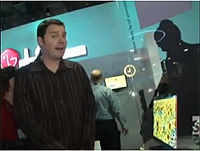 This video describes Gamma Scientific's complete line of testing systems for display measurement and was originally shown at SID Display Week 2012. 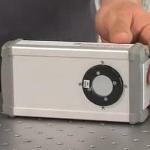 This video shows the BTS256-LED tester from Gigahertz-Optik. The light and color characterization of LED is necessary during all phases of the production and configuration process. 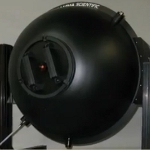 Gamma Scientific's RadOMA Spectroradiometer and 50 cm Integrating Sphere demonstration from The Strategies in Light Conference. The system is configured for LED testing and is measuring luminous intensity and flux. This video shows Prof. Sir Colin Humphreys explaining the benefits of using gallium nitride in LED lighting. The research on gallium nitride has led to some key developments in LED technology. Take a tour through the world of the light-emitting diode and learn - who invented it, how to use it, and how to make your own. 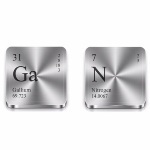 This video shows Prof. Sir Colin Humphreys, Director of Research at the University of Cambridge's Department of Materials Science and Metallurgy, explaining about the uses of gallium nitride. This video shows a presentation of complete LED testing solutions from Gamma Scientific that was shown at Strategies in Light 2012.